Happy hedgehog from Skip Hop how helps your child in the first development phase. This hedgehog from Skip Hop helps your child at the development phase. 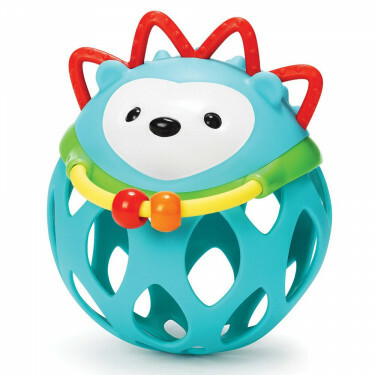 The flexible base allows the baby can hold the toy and easy to bite. The rattle stimulates the roll, shake and toss. The rattle is made of high quality BPA-free material and has the shape of a bee. If you move the rattle back and forth is the rattle, which makes for a nice sound and stimulates the senses of your baby.